Many California cities passed their rent control laws in the 1970s and ’80s, but soaring housing costs have sparked a new rent control movement. 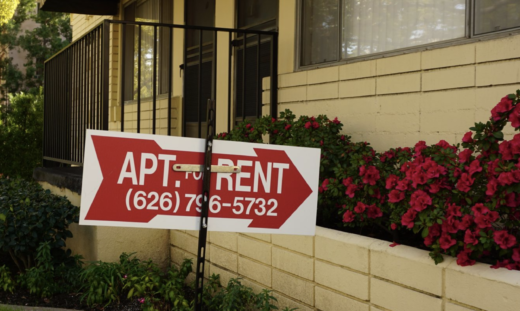 In Los Angeles County alone, tenant activists are trying to put rent control measures on the ballot in Pasadena, Long Beach, Inglewood and Glendale. A Los Angeles-based health care nonprofit known for funding controversial ballot measures is waging an expensive battle with the real estate industry over rent control in California. The AIDS Healthcare Foundation has poured more than $12 million into a November initiative it's spearheading to let cities and counties regulate rental fees in buildings that state law currently shields from such control. A $10 million contribution the foundation reported Wednesday made the initiative the most expensive on the 2018 ballot so far. Started in 1987 to provide hospice care to AIDS patients, the AIDS Healthcare Foundation has grown into a global health care organization similar in size to Planned Parenthood. The group also has waded into politics, bankrolling measures ranging from prescription drug pricing to housing policy, as well as lobbying at the state and federal level. Supporters say the rent control measure will protect low-income people from being priced out of their homes, while opponents argue it will decrease housing supply in a state facing a severe shortage. Opponents have raised $22 million, mostly from rental companies and the California Association of Realtors. The measure would repeal the Costa Hawkins Rental Housing Act, a law that banned rent control on single-family homes and all housing built after Feb. 1, 1995. Costa-Hawkins also prohibits cities and counties from telling landlords what they can charge new renters. Legislative efforts since to expand rent control, including one this legislative session, have failed. Real estate industry groups and other rent control opponents spent more than $10 million lobbying California officials last year on a Costa-Hawkins repeal bill and other issues. Tenant groups can't afford to challenge the industry alone, so they teamed up with the AIDS Healthcare Foundation to put the rent control measure, Proposition 10, on the ballot, said Christina Livingston, executive director of the Alliance of Californians for Community Empowerment Action. "No matter how much we are able to raise, we are going to be outspent," Livingston said. "We know that without significant funding that we don't have much of a fighting chance." AIDS Healthcare, which reported nearly $270 million in net assets at the end of 2016, operates clinics and pharmacies around the world. It also brings in money from thrift stores it runs. Nonprofits like the foundation can spend money on political causes related to their mission. The housing shortage in the nation's most populous state directly affects people's health, said Michael Weinstein, the foundation's president. A lack of shelter can make people sick and prevent them from accessing care. "We're in an emergency crisis situation," Weinstein said. "We have to do something to stop the displacement." The rent control campaign is part of a larger move by the nonprofit health care provider into housing issues. Last year, it spearheaded an unsuccessful Los Angeles ballot measure to restrict large developments. Weinstein said the goal was to kneecap efforts to build only luxury high-rises. Opponents said the measure would have decreased LA's housing supply. They also point to the foundation's attempts to block a high-rise development that will overshadow the organization's downtown headquarters, suggesting a personal motivation. Weinstein said the organization's effort was prompted in part by development in the foundation's Hollywood neighborhood where they could see gentrification firsthand. But he said he has nothing to gain personally from the housing policies the foundation supports. The foundation was also a driving force behind Proposition 61, the most expensive initiative on the California 2016 ballot. It spent $19 million on the unsuccessful bid to lower prescription drug prices, which drew fierce opposition from pharmaceutical companies and others. The foundation also mounted a similar unsuccessful initiative in Ohio in 2017. The foundation operates three Los Angeles buildings that house more than 400 low-income people. Most of the units are rented for less than $400 per person per month, Weinstein said. The foundation also plans to expand its affordable housing efforts to other states. California has a disproportionately high rate of homelessness, and nearly a third of California renters spend more than half their income on rent, according to the state's housing agency. In recent years, California has produced fewer than half the new units it needs to house its growing population. "It's a problem that everybody should be attempting to resolve," said Tom Bannon, CEO of the California Apartment Association, which represents rental housing owners and managers and is leading the opposition to Proposition 10. "Instead we have a focus on a policy that we believe does nothing to address the affordable housing shortage that exists in California and is actually counterproductive to building new affordable housing." The nonpartisan Legislative Analyst's Office says Proposition 10 will lower the value of rental properties. This will discourage developers from building new homes the state desperately needs and drive small landlords out of business, Bannon said. Reducing developers' profits would slow the building of already scarce affordable housing for low-income people, he said.